Frankie Moore Talked About Community Action Network At April 4th Lunch. Rotary Club of Ann Arbor North donated $1500.00 for Community Action Networks Summer Camp Program. 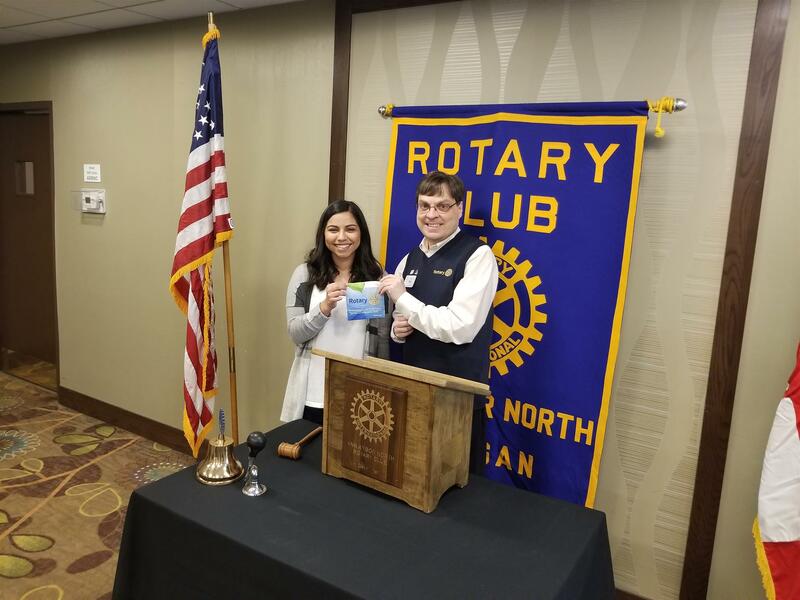 At the Rotary Club of Ann Arbor North Luncheon on April 4, 2019, Frankie Moore from Community Action Network Washtenaw County talked about her organization and Green Baxter Court Community Center. Frankie said, "Community Action Network partners with children, youth, and families from under-resourced Washtenaw County neighborhoods to create better futures fro themselves and improve the communities in which they live." Stabilizing Families: Assist families in meeting their basic needs and create better futures for themselves. Building Strong Communities: Create and maintain clean, safe, and supportive neighborhoods where families can thrive. Frankie then described the Green Baxter Court Summer Camp, "the summer camp is designed to combat summer loss or learning. With academic rotation and exploration into various educational themes, CAN's students develop academic skills while also having fun in a safe space with compassionate, caring adults." Click HERE for more information for CAN's Educational Summer Camps. Attending the Luncheon with Frankie, was Paige Ampey and Cassidy Uchman, they are from AmeriCorp VISTA. AmeriCorps VISTA (Volunteers in Service to America) members bring passion and perseverance where the need is greatest: to organizations that help eradicate poverty. AmeriCorps VISTA members serve as a catalyst for change, living and working alongside community members to meet our nation’s most pressing challenges and advance local solutions. Click HERE for Frankie's Power Point Presentation. Frankie Moore and President Elect Eric Tindall filling in for Pres Joyce absents.